At the Qualicum Beach end, the Links start behind the QB Legion where the Dollymount Trail meets Berwick Rd. 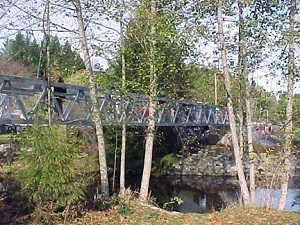 At the Parksville end, the Links start at City Hall on Jensen Ave. The entire way is marked with pedestrian/bicycle route signage.